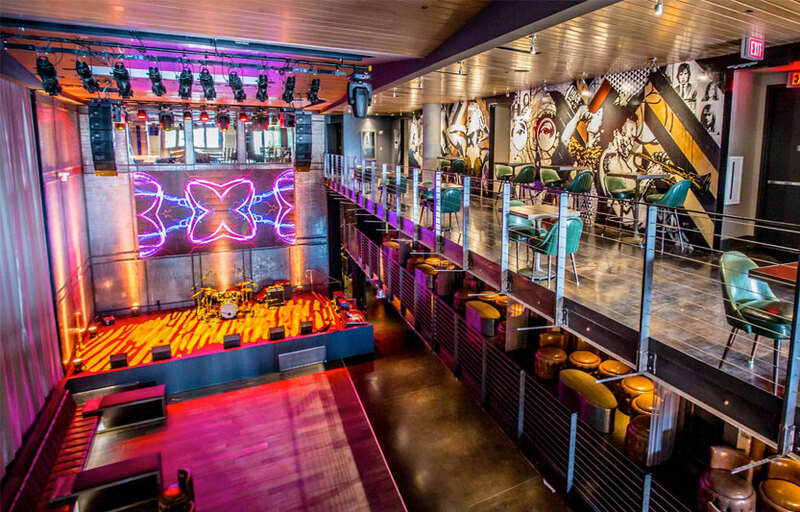 Music Box is a concert venue and event space in downtown San Diego. Situated in Little Italy, Music Box features a diverse array of talented performers, including nationally celebrated artists, local legends, and up-and-coming acts. Their tri-level site boasts audiophile-quality acoustics, locally sourced menus, and generously spacious floor plans. 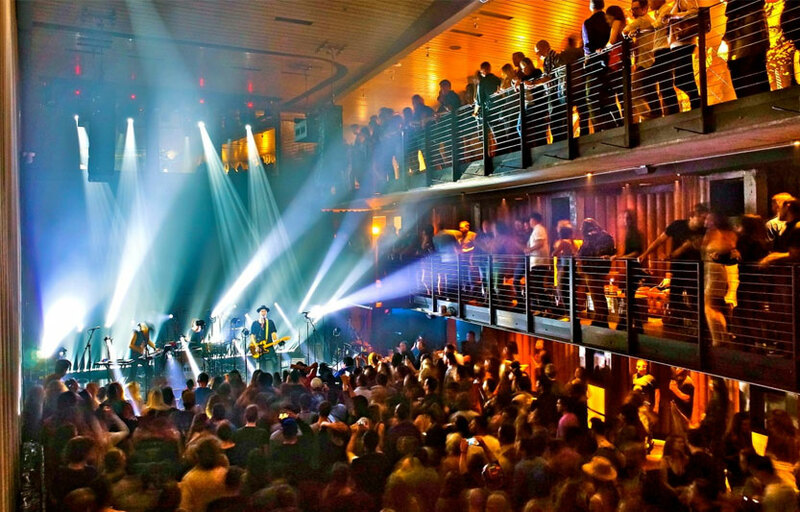 With capacity of over 700 patrons, the event space is large enough for the full concert experience, yet cozy enough to feel like you’re at an intimate show with your favorite band. 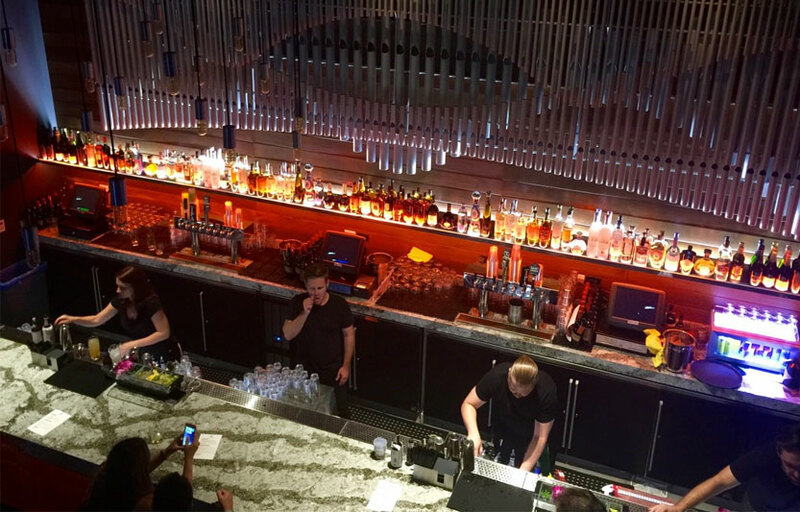 Music Box offers relaxing lounge areas, booth seating, outdoor patios, and views of the stage throughout the venue. And their VIP experience boasts options such as plush opera seating and an elite private-access room. Music Box has menu options available during all open hours, and can also provide pre-show catering, as well as private dining environments. Small plates, seasonal favorites, and crafts on draft are the perfect accompaniment to the music, and make for a lively and sociable dining experience. The venue features live music and entertainment throughout the week. The space is big and they do squeeze people in so like any concert it’s best to arrive early. You can sit on top of the booth seating lining the walls to get a slight birds eye view over the crowd and see the band. Second and third floor is the venues mezzanine’s tickets. Where is Music Box located? Music Box is located at 1337 India Street. How much is cover charge at Music Box? How long will I have to wait at Music Box? When is Music Box open? Music Box is open daily. What are the best nights to go to Music Box? Nights with the biggest artists are the most popular. What is the dress code at Music Box? Strict dress code is not enforced. How much do drinks cost at Music Box? What kind of music do they play at Music Box? Music Box features mostly top 40, with a mix of EDM and hip hop. Where can I find an list of upcoming events / DJs at Music Box? You can download the Discotech app to see upcoming events, and book tables for Music Box.